Join us as a sponsor! A big thank you to our sponsors who help to make this event happen! We couldn't do it without you. Please see the Sponsorship Brochure for more information, including valuable sponsor benefits. The Qt Company is responsible for Qt development, productization and licensing under commercial and open-source licenses. Qt is a C++ based framework of libraries and tools that enables the development of powerful, interactive and cross-platform applications and devices. basysKom provides custom software and consultancy services for industry segments such as manufacturing, medical, consumer and automotive. We develop flexible solutions for Embedded HMIs, backend software and connected platforms. Solid system knowhow, up-to-date technology, innovative ideas and the ability to find the optimal technology setup are our essential elements for the development. With our long term experience and profound knowledge using Qt and C++ in customer driven projects we deliver sustainable solutions to be fast and flexible in maintenance and release cycles while keeping quality, stability and innovation on a very high level. basysKom combines German Engineering and innovation with professionally made open source and a long history in working with both upstream communities and fully closed projects. Passionate about future technologies. Enthusiastic about innovative ideas. And driving at the highest level. This is BMW Group. With strong brands such as BMW, MINI and Rolls-Royce, we are pursuing our premium strategy, which makes us one of the worldwide leading automotive and motorcycle manufacturers. This is our business which we complement sensibly with comprehensive financial services for private and business customers. Our success as a premium manufacturer is due to the exceptional motivation and performance of our 116,324 employees in more than 150 countries. Bringing new innovations to the road would be unthinkable without IT. But not just any IT will do. Trailblazing software solutions which transform ordinary driving experiences into extra-ordinary ones are required. That’s why the success of our Automotive IT is driven by people with passion and ideas, who leverage the freedom we give them to network their skills and continuously push the envelope of what´s possible. Share your passion for revolutionary digitalisation and apply online at http://bmw.jobs/software. Intel, the world leader in silicon innovation, is also a leader in open source development. For nearly two decades, the Intel Open Source Technology Center (OTC) has advanced open projects across markets and at every point of the solution stack to help ensure everything running open source runs best on Intel architecture. 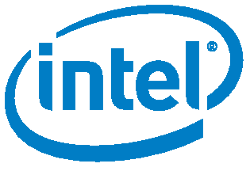 Intel is the #1 contributor to the Linux kernel and participates in dozens of industry-leading projects including Android, OpenStack, Yocto Project, Chrome, Xen and KVM virtualization, Intel graphics, Clear Containers, Dronecode, and more, transforming our world through innovation in enterprise, consumer technology, the Internet of Things and beyond. Woboq is a software company from Berlin, offering consulting services for Qt and C++. Woboq is the company you ask for help if you need deep knowledge of Qt or bugfixes in Qt. Their latest creation is a code browser which semantically analyzes your software and then allows you to easily navigate your code inside a web browser. You can also navigate the Qt source code on code.woboq.org. Ableton is a Berlin-based music software and hardware company. We make Ableton Live, Push and Link which are used by a community of dedicated musicians, sound designers and artists around the world. The Push UI is built with Qt. We use and contribute to a number of open-source projects including Qt/QML. We develop open-source packages for Python, CSS, C++, Arduino, Go and Qt/QML of course. More about us: https://www.ableton.com/en/about/. Open Invention Network is the largest patent non-aggression community in history and supports freedom of action in Linux as a key element of open source software. Launched in 2005 and funded by Google, IBM, NEC, Philips, Red Hat, Sony, SUSE, and Toyota, OIN has more than 2,000 community members and owns more than 1,100 global patents and applications. The OIN patent license and member cross-licenses are available royalty free to any party that joins the OIN community. Joining OIN helps provide community members with patent freedom of action in Linux and adjacent open source technologies, free of charge or royalties. More about us: http://www.openinventionnetwork.com/. telecommunications industry. Golem.de offers profound and up to date information on significant and trending topics. Online- and IT-Professionals, marketing managers, purchasers, and readers inspired by technology receive substantial information on product, market and branding potentials through tests, interviews und market analysis.